Jasmine Rose is a loc’ed YouTuber who recently had her edges restored through a procedure performed by black female dermatologist, Dr. Osei Tutu. Her story is one of insecurity and eventual transparency on a platform — social media — that does not always lend itself to positivity. Nonetheless, the courage to share her story has already helped a few black women and can hopefully help more through this medium. 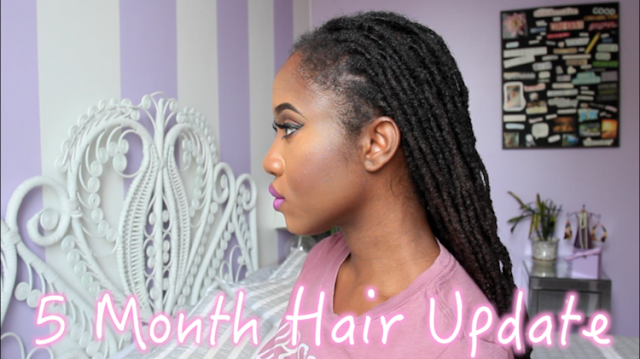 When I see Jasmine Rose on Instagram and YouTube, I see a beautiful dark brown woman with gorgeous, healthy locs. Her hair reminds me of deep black obsidian in its color and sheen. Her locs are long and perfectly formed. Little did I and other viewers know that some of what we saw contrasted with Jasmine’s reality — that her hair was, in fact, not entirely healthy. The loss of Jasmine’s edges was gradual, and she attributes it to overdone retwisting. 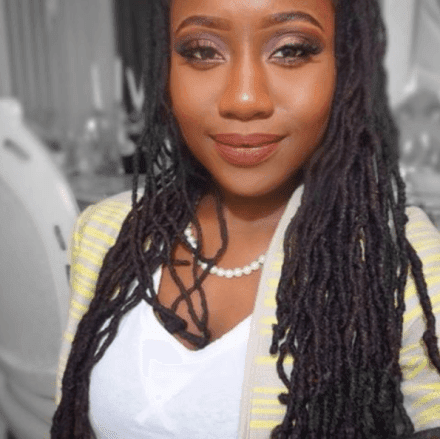 She began her loc journey in 2007 and twisted frequently (and tightly) to maintain a manicured appearance. 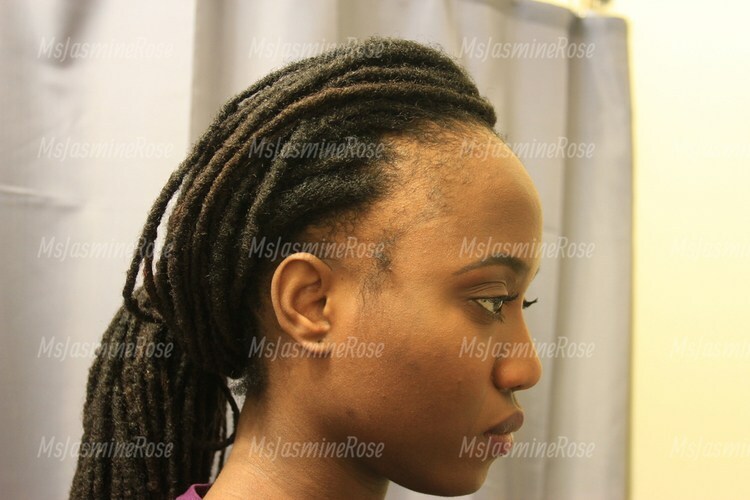 It was in 2010 that Jasmine noticed “a drastic change in her hairline area” and learned that she had traction alopecia. She stopped retwisting as frequently and consulted with two dermatologists (both white and male) who gave her regular cortisone shots to no avail and did not seem to understand her hair and insecurity. She then tried numerous natural remedies, including emu oil and castor oil, to regrow her edges, but nothing worked. Jasmine eventually resigned herself to concealing her hairline with black eye makeup while feeling like an ‘imposter’ YouTube hair guru. Essentially, she went into hiding while in front of the camera. In 2013, Jasmine decided to find a dermatologist who looked like her — black and female — in hopes of finding one that truly cared to understand her problem; this was when she found real help. After another round of unsuccessful cortisone shots, her new doctor performed a hair restoration procedure to bring back her edges earlier this year. Jasmine could have kept this entire experience to herself, but she chose to be transparent to her viewers. Since revealing her story, some women have voiced, not only their support, but how much she has helped them.